Effect: A person is asked to think of the first person that he or she ever dated. Let's assume you are dealing with a woman. So she is asked to think of the first name of the first person she ever dated. The performer hands her a small ruled pad with a row of numbers from 1-6 running in a column from top to bottom. She is also given a regular gel pen. The performer turns his back to her. She is asked to think of the name of the first person she ever dated. She is instructed to write this person's first name by any one of the six numbers, but not tell the performer which number she wrote it by. She is then told to write the names of five other people (she may or may not have dated) by the remaining five numbers. When she is done, the sheet will have six names on it. She tears off the sheet and gives it to the performer. The performer immediately cuts the sheet of paper into six strips using a pair of scissors. Each strip has a name on it. Each strip is then folded into a small billet. The six billets are given to the lady and she is asked to mix them up and place them on the table. The performer moves his hand over the folded billets and picks up one. He holds the billet STILL FOLDED to his forehead. 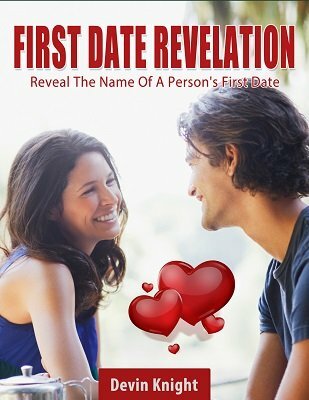 He asks the lady to concentrate on the name of her first date. Without any secret peeking, the performer slowly spells out the name, letter by letter, such as J-A-S-O-N. "I get the impression that the name of your first date was Jason. Is that correct," the performer says. The lady confirms that the performer is indeed correct. For a climax, the performer says, "I think I have found the slip with Jason on it." He hands the UNOPENED slip to the lady and allows her to open it. On the inside is the name of her first date, Jason! Here's another clever routine from Devin Knight. He gives you two different methods. The first is Al Mann's Kolophon Principle, so if you have that ebook, you'll know exactly how it works. The second similar method is better, I think, and one that I'd never seen before. It's pretty ingenious when you get right down to it. The full revelation, which involves folding the six slips with the names on them, is, in my opinion, too much hands on activity for the mentalist. There are much better ways to accomplish the same thing with the spectator's doing the work of folding the billets and mixing them before you find the "first date" billet. In any event, this is well worth the $10.